History Month at Linhay Gallery. 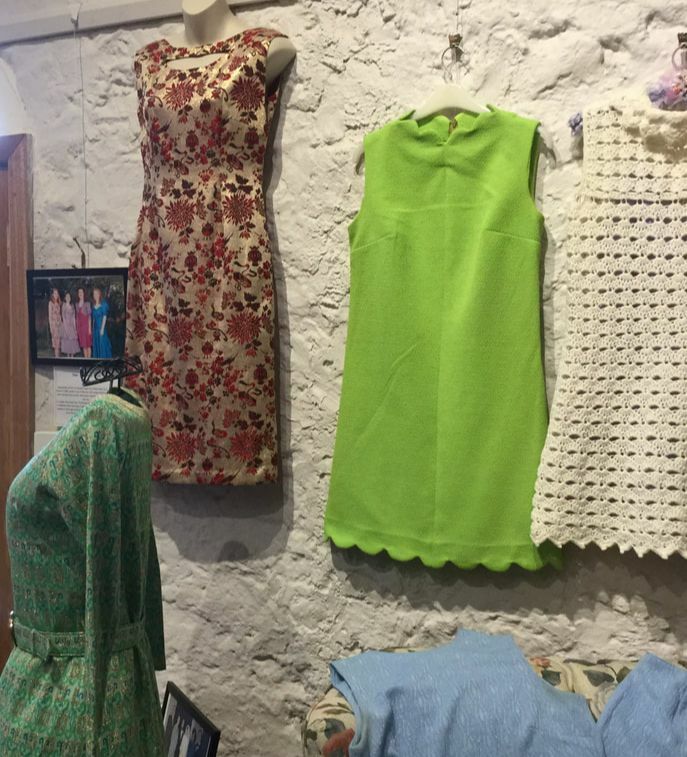 An exhibition of clothing that holds special memories, saved and treasured from times gone by. Every garment has a story to tell. Local people were invited to look into the back of their wardrobe or chest of drawers to find those special garments that had been saved from past events and bring them along to the gallery with a photograph of the owner wearing it and the story. Some brought an outfit that they themselves had worn for a special occasion. Some brought outfits that had been worn by their mother or grandmother. The oldest garment is from 1875, a delicate silk moire gown that had been preserved in a cardboard box, itself an historic item from 1940. Then there is a collection of children's clothes including a fine example of a Christening gown that was made in 1880 and worn by five generations of babies, a total of fifty so far, who were Christened at St Patrick's Catholic Church in Undalya until it's demolition. Many of the garments have been home made and include stories of learning to sew either at home or at school. The fine work accomplished by young children is a credit to their skills and their teachers. There are paper patterns and fashion magazines that included patterns. 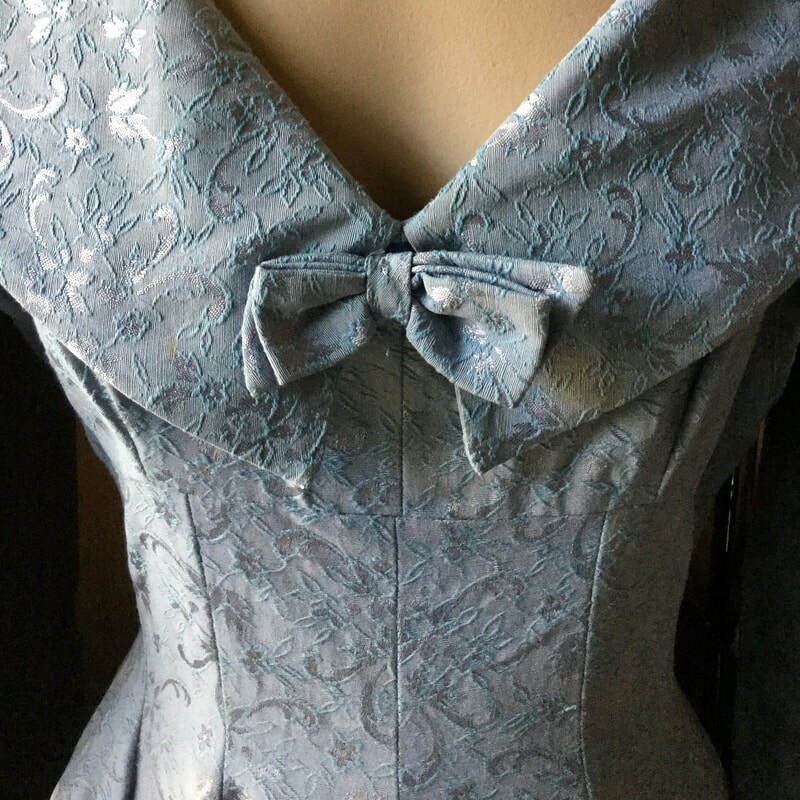 Some stories tell of garments re-made from older clothes in times when nothing was wasted, designs made to be lengthened and buttons adjusted to fit the children as they grew. Most interesting of all are the memories evoked in visitors as they look at the exhibits. It would be a shame to miss this slice of local history! 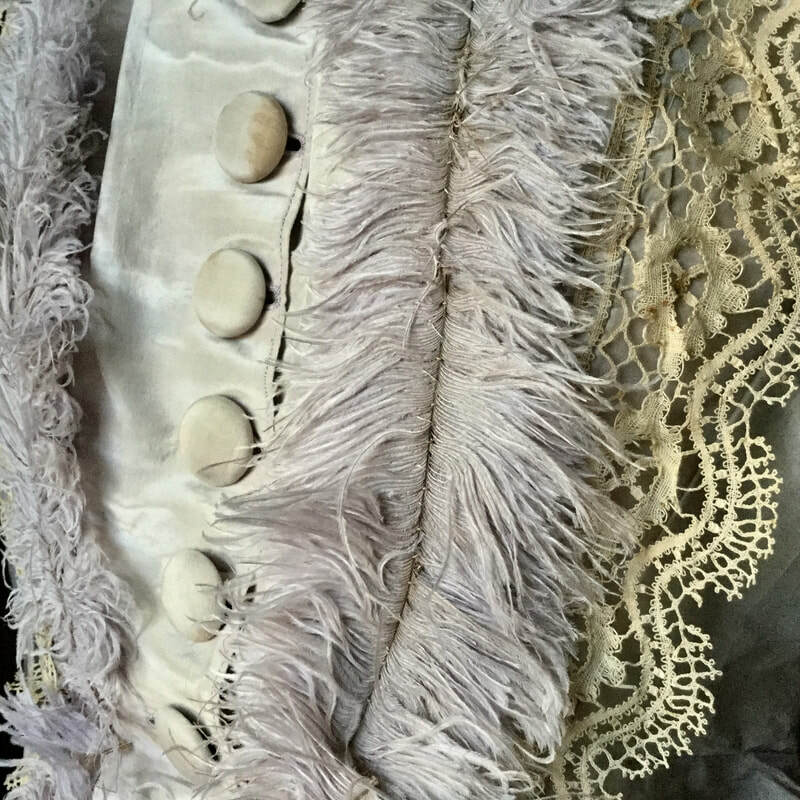 Detail of 1875 silk gown.